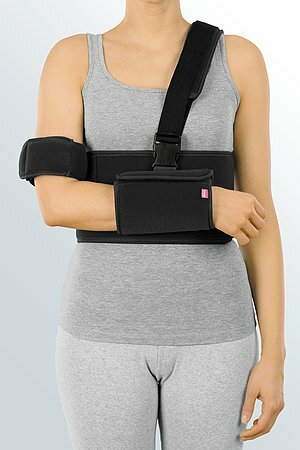 medi Humeral fracture brace is a shoulder orthosis. 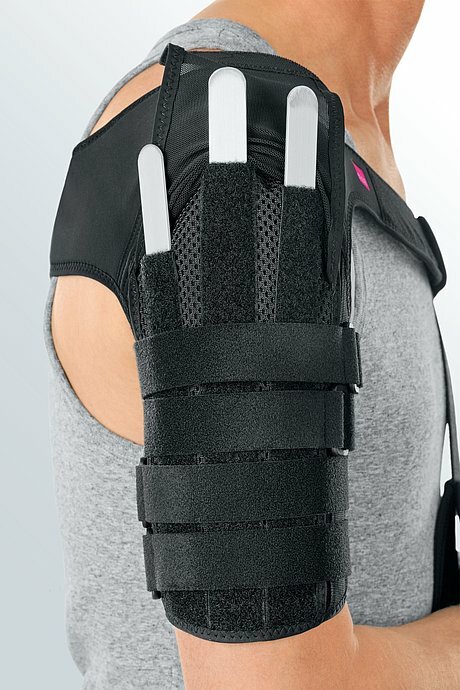 The product is exclusively to be used for the orthotic fitting of the upper arm and only on unbroken skin. Open the hook and loop fastener around the upper arm and the pad at the front. 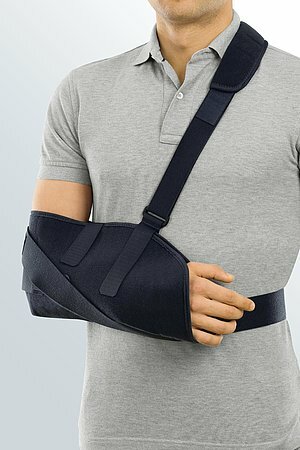 Place the upper arm cuff around the affected arm and close the main hook and loop fastener. 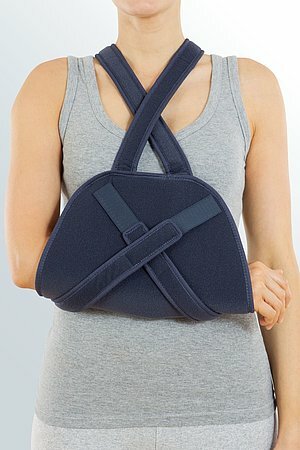 Now take the strap round the back and under the armpit of the uninjured arm to the front and fasten it there. Take care that the fastener for the forearm support sits in the sternum area. Now close the two straps on the upper arm. 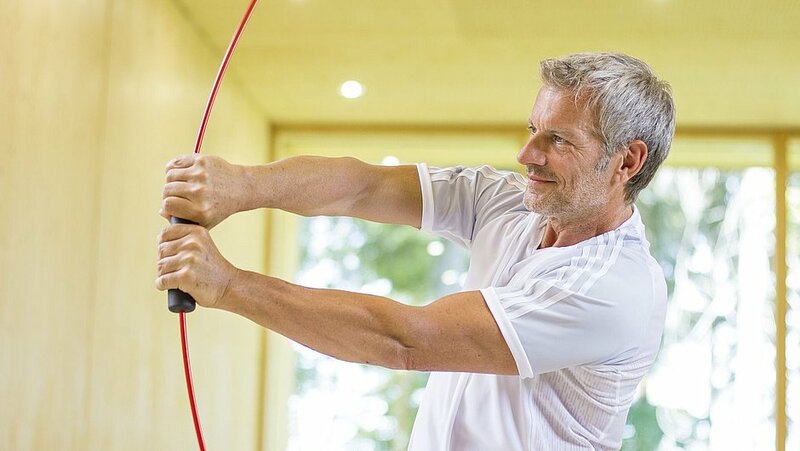 Place the forearm in the support and fasten with the click closure. 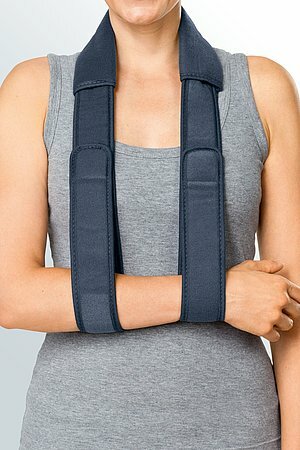 How to use our medi Humeral fracture braces. Date of issue: until November 2017. 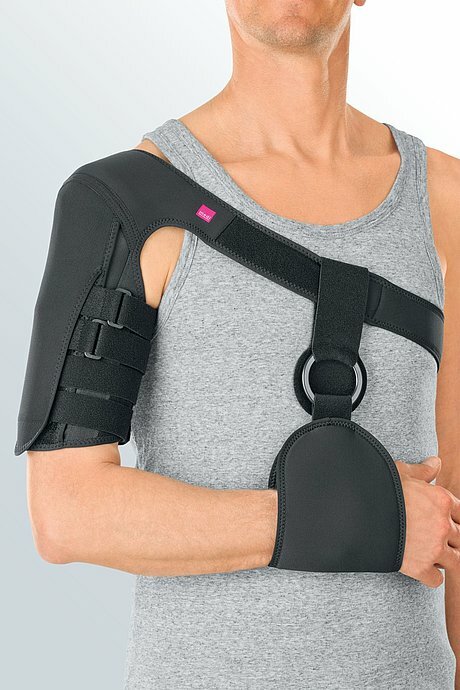 How to use our medi Humeral fracture braces. Date of issue: from November 2017.